My wife and I used the app for 6 months. Then one day we opened the app and ALL our data was deleted as if our account never existed! Customer service was completely unhelpful in recovering our info. Do not use the app. Great when you’re on your phone. Added bonus feature could be freezer stash record for milk. Also, Apple Watch art doesn’t work which is why 4 stars instead of 5. I’ve uninstalled and installed and still can’t get it to work. Love this app otherwise. 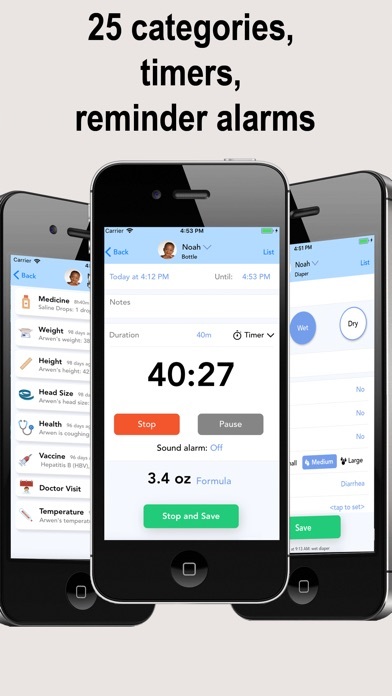 Great app but doesn't with with apple watch. Correct the watch app and you get five stars. Where’s the Apple Watch complication? Love the app but why in the world is there not a complication available to have this app open from the home screen of the Apple watch? I’ve been using this app for about 3 weeks now and I really enjoy it. 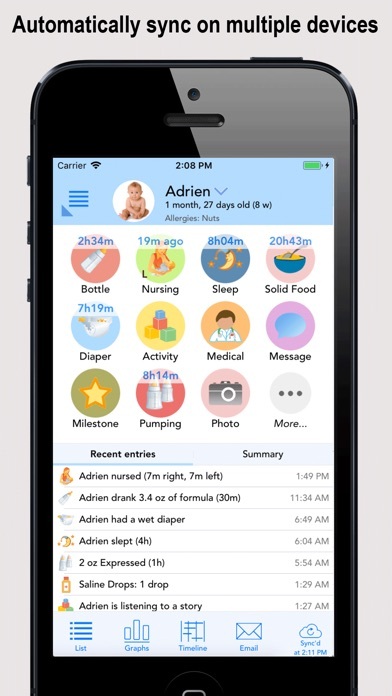 It makes tracking feedings, diapers, weight, sleep, etc. very easy. My one complaint is that the Apple Watch app does not work at all. It really has so much potential and is very convenient since my watch is always on my wrist. 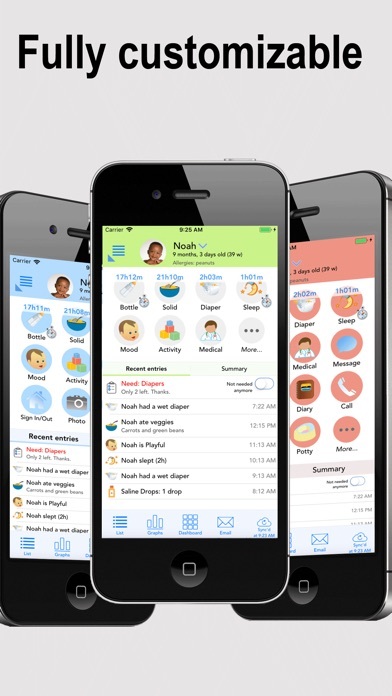 Overall, this app is totally worth the money and you’re able to connect other people who may be caring for your child as well. 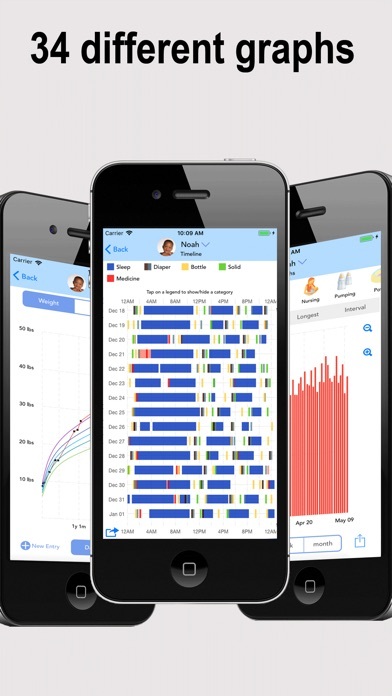 Love the app, helps me track nursing and sleep primarily. The timeline helped me create and see what babies schedule is so I can predict his needs. Love the new feature with Alexa and the redline on the timeline so u can see where we are at the moment. 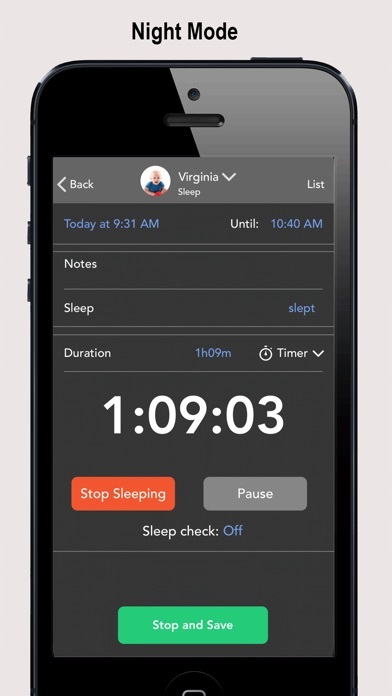 Some wishes: - track day time nap totals vs night sleep totals - track average amount of time awake before each nap (or interval between naps) - average length of naps at certain times of day Appreciate the efforts on this app. As a FTM it’s been very helpful. First Time Parents - this is our LIFELINE! This app is incredible. Super intuitive, clean interface. Can really track anything. Synchronizes well. We LOVE it! LOVE LOVE LOVE this app. Just sad that my child is too old for me to enjoy the Alexa integration and night feature, but what a great new, innovative update. 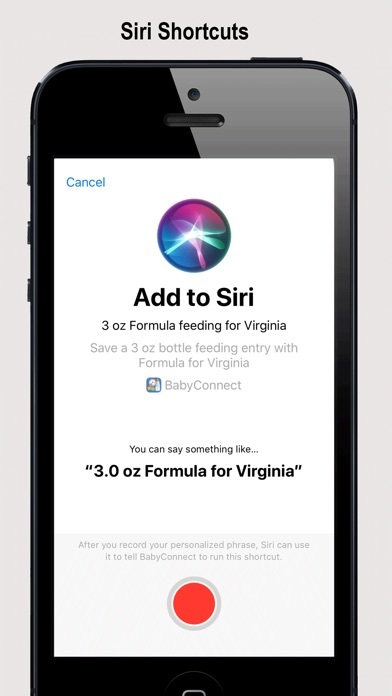 I have 7 week old twins, and once I got in to some what of a routine with them a couple weeks ago I've used this app everyday and am still finding useful details I hadn't noticed. So glad I found it! Twins are 10 months old now and still use this app all day every day, I love it so much! 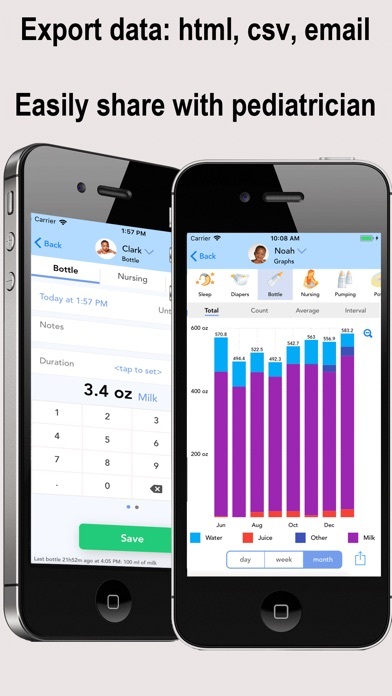 If you’re a mom who like to track all your baby feedings and sleeping, this is definitely for you. I used this app regularly for almost 18 months with my firstborn, 3 years ago. At the end I was just tracking his nursings since I kept it as a journal for myself later (thanks to the export option). The sleeping and nursing graphs was so helpful!! I could easily identify sleep pattern issues and put a plan in place so he could sleep longer through the night. If you’re a data and graph person like me this will save your sanity trying to figure out what is going on. A bunch of data is not really useful if you don’t have some reports and graphs to help you. Now I’m 37 weeks pregnant and ready to use it again. I never gave any app reviews but had to do it to thank the app creator for adding so many cool features that helped me so much!